Our curriculum imbibes the best aspects of courses offered at top business schools around the world. The course modules are inspired by the Stanford Graduate School of Business, Wharton Business School and IIM-A. In keeping with the requirements of the ever-globalizing environment, IILM mandates a 3-week global study in Germany, Canada, Finland, France or Spain. 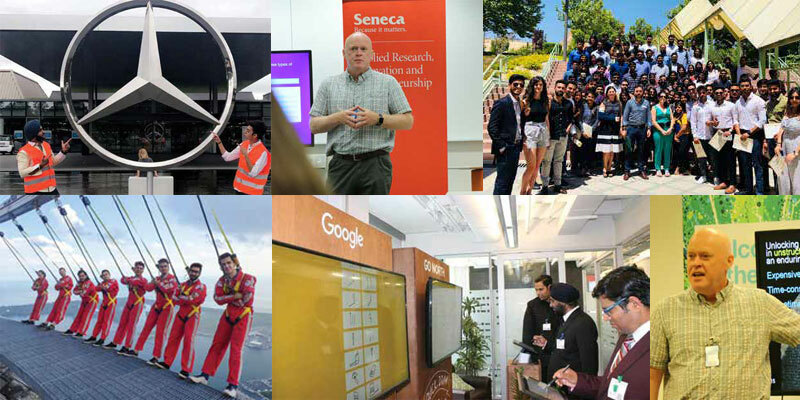 International treks give MBA students the opportunity to explore the economic, political, and cultural contexts of business in regions around the world. The IILM Career Center helps students to get out of their comfort zones and explore their potential. Launching successful careers through a combination of academic courses and practical guidance, IILM Career Center aims at steering the students in the right direction for a fulfilling professional life through a variety of endeavors. IILM creates future 'Game Changers' by fostering the entrepreneurs with 3 Cs 'Content, Context, and Contacts' that enable them to design and launch successful start-ups based on innovative methods. IILM has a robust Placement Cell - Career Resource Centre (CRC) which is well connected with different Industry sectors. The principal focus of the Career Resource Centre (CRC) is to foster Corporate Connect by facilitating industry engagement. IILM faculty comes from leading institutions across the country and have diverse industry experience. They are always available to answer queries and clarify any doubts students may have. ILM has a wide network of alumni who have risen to high ranks and hold excellent positions in reputed companies like HDFC, Hewitt, Deloitte, Ernst & Young, WNC, ITC, Hindustan Unilever, Nestle and many more. IILM provides magnificent hostels offering a comprehensive range of facilities to its students without compromising on their safety and security measures. We always endeavour that every deserving student gets the opportunity for quality education. This is made possible by our merit and means based scholarship policy. We have also partnered with certain banks so as to make the procedure for application of education loans a little easier for students. Get a truly global exposure in terms of teaching pedagogy, industry visits and diverse cultural immersion. International treks give MBA students the opportunity to explore the economic, political, and cultural contexts of business in regions around the world. During such tours / treks the students, partner with faculty and staff mentors to plan the tour content and logistics. Keeping up with the requirements of the ever-globalizing environment, IILM mandates a 3-week global study in Germany, Canada, Finland, France or Spain. This gives students a global exposure in terms of teaching pedagogy, industry visits & diverse cultural immersion.